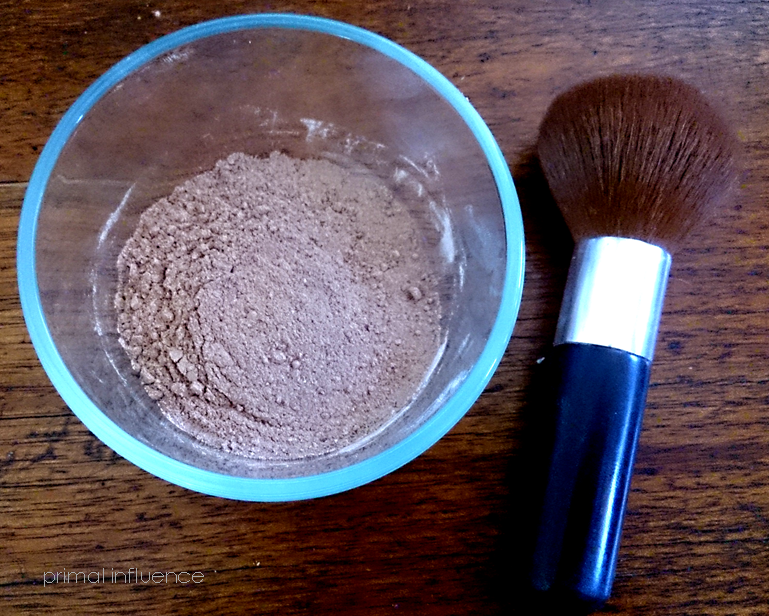 If you're conscious of using more natural beauty and body products you'll love this recipe for making 100% natural powder foundation! I made this on the weekend, it cost next to nothing, it took me about 5 minutes and I love the end result! You simply mix about 1 tbsp arrowroot powder with cocoa, starting with 1/2 tsp for light skin then see how that matches up to your own skin colour. If you need to adjust the tone, just add in cinnamon and/or nutmeg or more cocoa until you reach the desired colour. I highly recommend you then spoon all of the mixture into a mortar and pestle and grind until very fine, as the cinnamon and nutmeg can often be a bit grainy. I had to do this and I'm glad I did! I no longer need to buy expensive brands just to get a completely natural product. With this recipe, I know exactly what's in it, I can make as much as I need it as often as I need, it's inexpensive, and my face smells delicious! LOL! I'm now on the hunt for a DYI natural concealer. If you make this please let me know how you go! 2. My first pumpkin that hasn't shriveled up after self-polinating seems to be going well!